Sharps Island Light is located west of Black Walnut Point, near Tilghman Island, MD. The light marks the entrance to the Choptank River and the main shipping channel of the Chesapeake Bay. 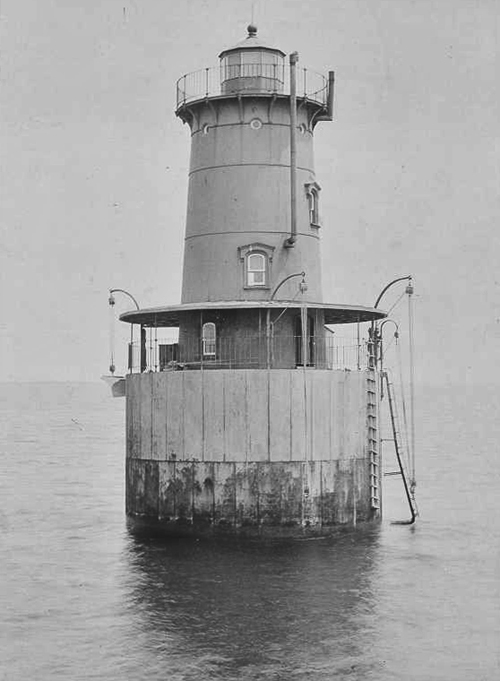 Sharps Island Light consists of a caisson with cylindrical iron tower, a design that is sometimes called “sparkplug lighthouse.” Mariners recognize this light by its 15 degree tilt. Sharps Island Light is listed on the National Register of Historic Places.